(2:35 p.m. EDT) -- As the weeks pass after Hurricanes Irma and Maria, the Caribbean is moving toward recovery -- and its cruise ports are some of the first major tourism hubs to re-open. For some ports this recovery came at an astonishing speed; Key West opened to cruise ships nearly four weeks earlier than anticipated. Others are inching along, with hopeful plans to bring visitors -- and revenue -- back to their islands as soon as possible. Since Friday, September 22, when Maria changed direction and started heading out into open sea (and even in the time between Irma and Maria), cruise lines and destinations have been working together to get the industry back up and running in the Eastern Caribbean. Cruise Critic has also been reporting live, bringing you early updates as cruise ships return to St. Thomas, luxury lines turn around ships in St. Barts or St. Martin, and there's more coverage to come. Hurricane season is over for 2017, but for the latest discussion on Caribbean islands and their recovery, be sure to tune in and ask your questions on the Cruise Critic Caribbean Recovery Forum. 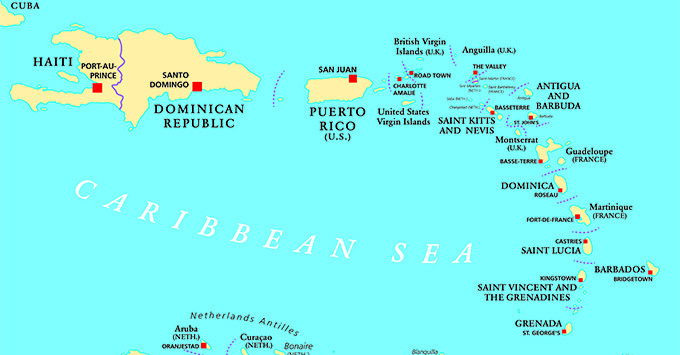 The following is a roundup of Caribbean cruise ports and their current statuses. Antigua escaped much of the damage caused by Hurricane Irma and Maria, and lines like Celebrity, Royal Caribbean and Oceania are making regular calls. Unfortunately, sister island Barbuda was severely impacted by the storm. Aruba, in the Southern Caribbean, was not impacted by the recent storms. Some lines are substituting calls on affected itineraries with Aruba. The Port of Nassau, and other ports around The Bahamas, are open, escaping any effects from Hurricane Maria. Nassau and Paradise Island hotels received no damage from either Irma or Maria. The majority of hotels and resorts throughout The Bahamas are operating as usual or are expected to re-open on their regularly scheduled dates. Bahamasair resumed service into the United States on September 12. Great Stirrup Cay: Norwegian's private island was unaffected by the storms. CocoCay: Also known as Little Strirrup Cay, Royal Caribbean's private island in the Bahamas is currently open. Castaway Cay: Disney's private island is open. Half Moon Cay: The private island used by Carnival and Holland America is open. Princess Cays: Princess Cays, located at the southern end of Eleuthera island, is now open for business. The Port of Bridgetown is open and unaffected by Hurricanes Irma and Maria. Bermuda escaped any effects from recent storms and is open to all cruise ships. Bonaire, a tiny island in the Southern Caribbean, was unaffected by recent hurricanes. Havana's port facilities were not impacted by Irma and the port re-opened to cruise passengers on September 18, as scheduled, for a four-day Norwegian Sky cruise. 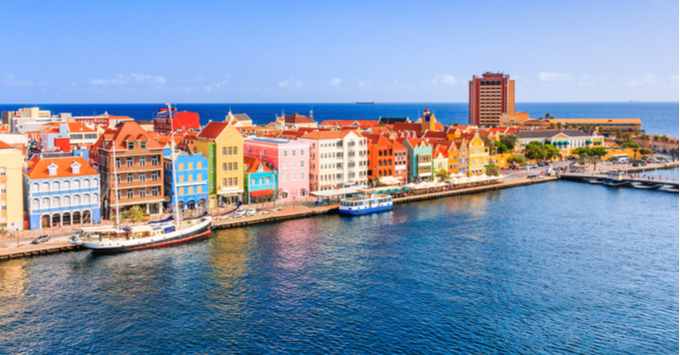 Curacao, one of the ABC Islands in the Southern Caribbean along with Aruba and Bonaire, was unaffected by Hurricanes Irma and Maria. According to the Ministry of Tourism of the Dominican Republic, all ports in the country are operating normally and none suffered damage due to Hurricane Maria. More than 50 cruise ships are expected to arrive this year to the DR, and the small ports in Sans Souci and Cap Cana are also fully functional and carrying out their operations without disruptions. After Maria, La Romana welcomed Carnival Vista on September 26, and Amber Cove in Puerto Plata received Carnival Conquest and Carnival Magic on September 27, as well as Carnival Splendor on September 28. The ports of the Dominican Republic emerged from Irma without major damage. Punta Cana International Airport resumed normal operations and the area's hotel sector reported no major damage. Ships began sailing back to Amber Cove shortly after the first storm. On September 24, Royal Caribbean's Empress of the Seas called on Key West -- just two weeks after Irma made landfall there. The Florida Keys sustained serious damage and flooding as a result of Hurricane Irma, but the Port of Key West recovered sooner than expected. Originally, Key West officials had stated that the port wouldn't be open for tourism until October 20. On September 25, Royal Caribbean announced that Key West was officially back on itineraries (specifically beginning with the October 2 and 9 sailings on Enchantment of the Seas). According to an official with Royal Caribbean, most shore excursion in Key West are available. The only four from their normal tour program that remain closed are Snuba, Hemingway's House, Taste of Key West and Butterfly Conservatory. Carnival also announced Carnival Victory's return to Key West on September 26, followed by Carnival Paradise on September 27. Grenada was unaffected by the September storms and is open to cruise ships and visitors. Haiti was relatively unscathed by Irma. All services remain in operation and the country continues to welcome visitors. Royal Caribbean's Harmony of the Seas called on Labadee, Royal's private island, beginning on September 14. Hurricane Maria passed over Martinique on September 18, and the port re-opened on September 20. Montserrat, like Grenada, is part of the British West Indies and was not affected by the hurricanes. The port in Charlestown, as well as the small, luxury port in Pinney's Beach, and Nevis' Vance W. Amory International Airport are currently open. On November 30, Carnival Cruise Line and Royal Caribbean returned to San Juan as a port of call with visits from Carnival Conquest and Freedom of the Seas. Disney Magic called on December 1. Carnival Fascination will resume its year-round weekly departures from San Juan on February 18, 2018. Carnival had originally confirmed a return to homeporting its cruise ship Carnival Fascination there, beginning October 15. However, due to humanitarian needs, the line has instead allowed FEMA to charter the ship until the end of January. In an October 9 statement the line said: "Our team's visit this past week confirmed the Old San Juan area is ready to receive tourists. Many shops and businesses have returned to their normal business operations with more opening up every day." Hurricane Maria made landfall in Puerto Rico as a Category 4 storm on September 20 with winds of up to 155 mph, knocking out power to the entire island. Prior to Hurricane Maria, Puerto Rico served as a staging ground for evacuees from other islands affected by Hurricane Irma. The Port Zante cruise pier did not sustain storm damage and St. Kitts welcomed cruise ships -- Carnival Fascination and Royal Caribbean's Adventure of the Seas -- beginning on September 23. All hotels in St. Kitts are fully operational and St. Kitts' Robert L. Bradshaw International Airport re-opened and began welcoming flights on September 20. The port of Basseterre was one of the first cruise ports to re-open following Hurricane Irma; Carnival Fascination called on September 8. St. Kitts & Nevis sustained minimal damage from Irma. St. Vincent and the Grenadines are open and unaffected. St. Lucia has not been affected by hurricanes so far this season. On November 1, the Carnival Corp.-operated cruise port welcomed its first ship -- Carnival Ecstasy -- since it closed ahead of Hurricane Maria's arrival. The ship is one of many due to call at Grand Turk in the coming weeks; among the others are Carnival Sunshine, Holland America's Koningsdam and Crystal Serenity. Hurricane Maria hit the southern shores of the French island of Guadeloupe on September 18, causing flooding and obstruction of roads from debris. Holland America's Koningsdam called on October 22. On November 26, the 4,000-passenger MSC Fantasia made its maiden call in Pointe a Pitre, marking the biggest vessel that will call this season. Fantasia will make 20 calls throughout the season, calling every week until April 2018. On November 5, Regent's Seven Seas Navigator called on St. Barts. Other luxury lines likes Silversea and Crystal have also been calling on the exclusive destination. Cruise Critic's chief content strategist visited the island on November 22 -- read her blog on the island's recovery. St. Barts was heavily impacted by Hurricane Irma, which destroyed government buildings and badly damaged private homes and hotels. The French government sent people and supplies to the country to assist with recovery efforts. On September 14, the island's airport re-opened to commercial flights, and the harbor is open to relief efforts. Roadways have been cleared, water production has resumed and electricity is being restored. No date has been announced regarding when the cruise port is expected to re-open. The Road Bay Port at Sandy Ground re-opened after Irma to receive cargo, and cruise ship calls returned in October with Seabourn and Star Clippers. Save for small ships, Anguilla is mainly a tender port, with visitors coming over on ferries when ships call on St. Martin. The ferry from there to Marigot is running again, but the terminal had to be demolished due to the damage it sustained. No word on when it might be reconstructed. Shore excursions are currently not operational. Resorts won’t be up and running until 2018, but restaurants are expected to be back up by the holidays. Anguilla's Clayton J. Lloyd International Airport is open with flights from St. Kitts, Antigua and San Juan. Chief minister Victor Banks has announced that plans are in place for an expansion of the airport. Crystal Cruises' yacht, Crystal Esprit, has been calling in Marigot since early November. Read Cruise Critic's live blog on the island's recovery. Air France has confirmed daily flights into St. Martin from Paris-Orly via Pointe-a-Pitre (in partnership with Air Antilles). Land-based resorts were severely damaged, including hotel chain Sonesta, which has canceled all reservations on the island through the remainder of 2017. St. Thomas received its first cruise ship on November 3, when Seabourn Odyssey made the first stop. Royal Caribbean followed on November 10 with Adventure of the Seas and Norwegian Dawn visited on November 11. Magens Bay, one of the best-known beaches in the Caribbean, reopened on November 10. Cruise Critic reported live, from MSC Divina, on St. Thomas and the recovery of the Caribbean. On November 29, St. Thomas welcomed five cruise ships to the island at once -- the most since the hurricanes hit. Other lines will be following; 60 ships are expected in December. Carnival Cruise Line is waiting longer, however; they have announced they will return to St. Thomas with a call from Carnival Glory on January 9, 2018. A September 26 letter to passengers booked on the October 28 Celebrity Summit sailing originally stated "Due to the success of the recovery efforts in St. Thomas, USVI, we're happy to announce that we will be adding a visit to this stunning island back to your sailing. We've removed the stop in St. Croix, USVI from your sailing...We'll send you all the details on our updated shore excursion offerings in St. Thomas as soon as they're finalized." Cruise Critic is awaiting word on when Celebrity plans to be back to the USVI (Summit did not call on St. Thomas as promised). The Cyril E. King Airport on St. Thomas, which received extensive damage during Hurricane Irma, re-opened to commercial flights on September 28. The Ann E. Abramson Marine Facility pier in Frederiksted, St. Croix's deepwater cruise ship facility, welcomed cruise ships back in November; Viking has been sailing a modified West Indies Explorer, calling on St. Croix instead of Tortola. Calls from Norwegian Gem, Seabourn Sojourn and Seabourn Odyssey are scheduled for in December. The latest statement from the governor of the U.S. Virgin Islands is that 90 calls are scheduled to St. Croix this season. Hurricane Maria made landfall in St. Croix between September 19 and 20. While fellow U.S. Virgin Islands St. Thomas and St. John were far more impacted by Hurricane Irma, seaports on St. Croix and the Henry E. Rohlsen Airport on St. Croix quickly re-opened. JetBlue resumed operations on the island on September 8, and American Airlines followed on September 12. According to the U.S. Coast Guard, the Port of St. John is open; modified excursions are running to the island from St. Thomas. More details to come. There is no commercial airport on the island of St. John. St. Maarten has become the first destination partner to join the "Caribbean is Open" marketing campaign, led by the Florida-Caribbean Cruise Association. On December 1, officials from St. Maarten confirmed that cruise ships will return Monday, December 4 with a call from Viking Sea, followed by British line Marella (formerly Thomson) with Marella Discovery on December 5. Additionally, a brand-new eco-park is now open, and we were on the ground and reporting live from an exclusive Cruise Critic preview in November. An October 25 statement from Royal Caribbean says that the lines expects to return to the island on December 17 with a call from Grandeur of the Seas. On October 20, Carnival Cruise Line announced they would return to St. Maarten on January 15, 2018 with a call from Carnival Sunshine. Princess Juliana International Airport (SXM) reopened to commercial flights on October 10, facilitating critical connections to other affected islands, such as Anguilla and St. Barts. British cruise line Marella Cruises called on Tortola December 6 with Marella Discovery, marking the first ship to return to the island since the hurricanes. Marella Celebration is scheduled to call on Tortola tomorrow, December 7. The cruise port in Barbuda remains closed. The island of approximately 1,800 residents -- a twin to the better-known Antigua -- was severely impacted by Hurricane Irma, which passed directly over the small island, resulting in one fatality. Prime Minister Gaston Browne said 90 percent of homes were destroyed as a result of the storm, and Barbuda's hotel infrastructure was also damaged. Hurricane Maria hit Dominica as a Category 5 storm on September 18. The island's Prime Minister said that initial reports were of widespread devastation, with most homes losing roofs from the 160 mph winds. The ferry company L'Express Des Iles has resumed daily service between Dominica and Saint Lucia, as of October 6. Service will be one way only, either from or to Dominica. However, the island remains closed to cruise ship traffic. The government has announced that landline services are back up in the northern town of Portsmouth. Much of the island is still without electricity or running water, however the tarmac at Mellville Hall [Airport] was not too badly damaged, according to a statement, so the strip has re-opened for larger relief planes to land. The government of Trinidad & Tobago have offered their assistance and supplies.